My triple-heddle project on my 12″, AKL had been untouched for close to a year. I tried to work on it a few times, but stalled each time because I couldn’t remember how to manipulate the heddles properly. Because I dreaded having to re-read the Xenakis text (”The Xenakis Technique For The Construction Of Four Harness Textiles”, by Athanasios David Xenakis) again, the AKL stayed untouched in its carry bag until I put DS into camp last month. Because DS insisted I not leave him “alone” on the premises (even though he never saw me! 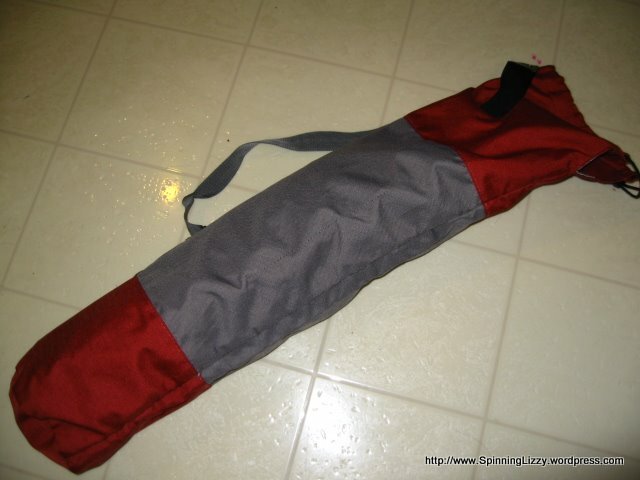 ), I had to bring something to work on for the 3 hours every day he was in camp. To prepare myself, well before camp week, I gritted my teeth and pulled out the Xenakis text to read. Several times over. Then, I looked closely at the cloth I had started. I was dismayed to find that it resembled, but didn’t reproduce the pattern I was after. Reading Xenakis again, I discovered that I had been manipulating the heddles incorrectly. 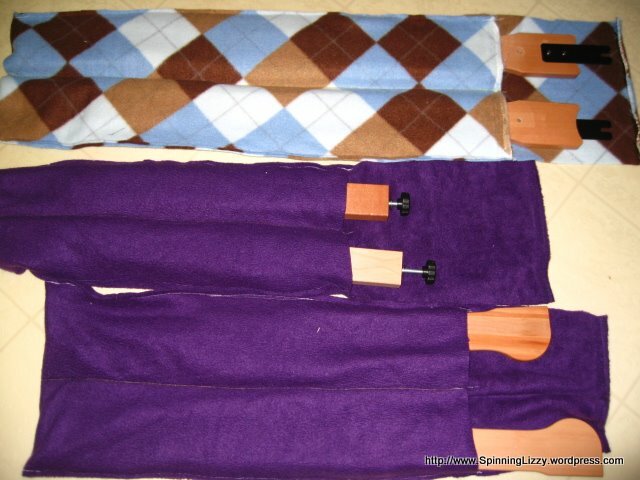 I unwove the foot-plus-long cloth I had already woven, and started over again. 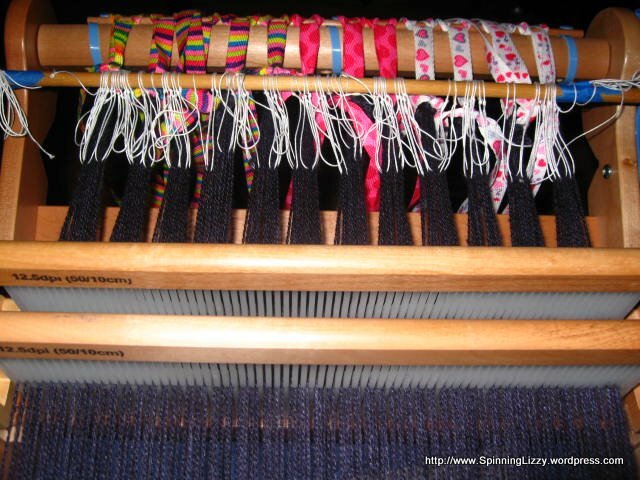 I would love to say that I learned the proper heddle manipulations and soon set myself weaving merrily along again. That did not happen. The problem was that the heddle lifts and sequences were not intuitive to me. 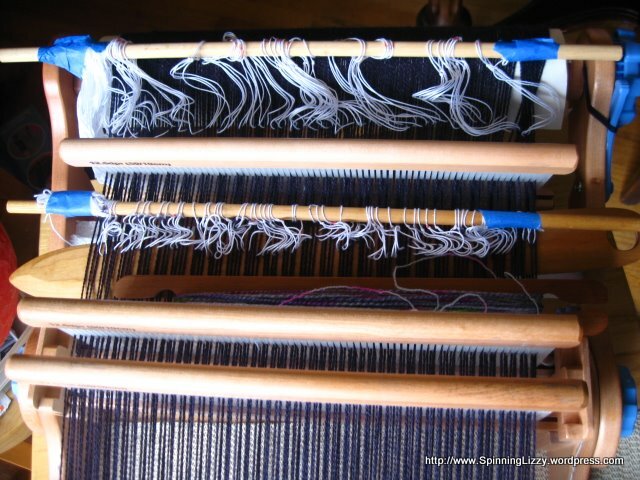 Some lifts required moving the third heddle up or down, then bringing the other heddles toward the fell line to emphasize a separation in threads, then picking up one set of the threads behind the first heddle, etc. That was very complicated! 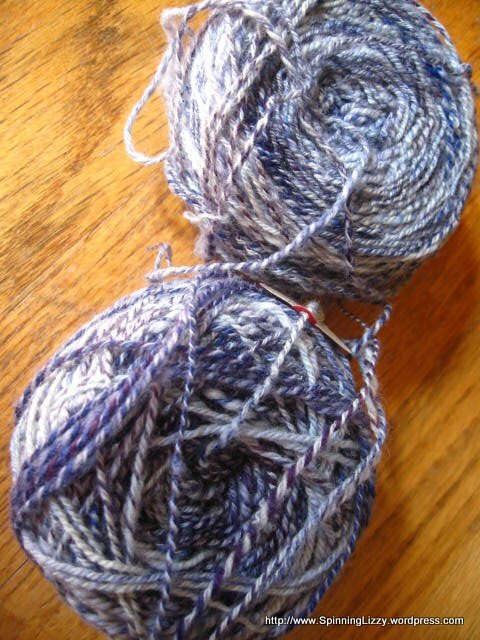 I struggled a bit, then decided to order “Weaving with Three Rigid Heddles”, by Rev. David B. McKinney, from eBay, where it’s sold under his eBay name, Silananda. I have heard that his book is very easy to read. The book came very quickly, and was indeed very easy to comprehend. 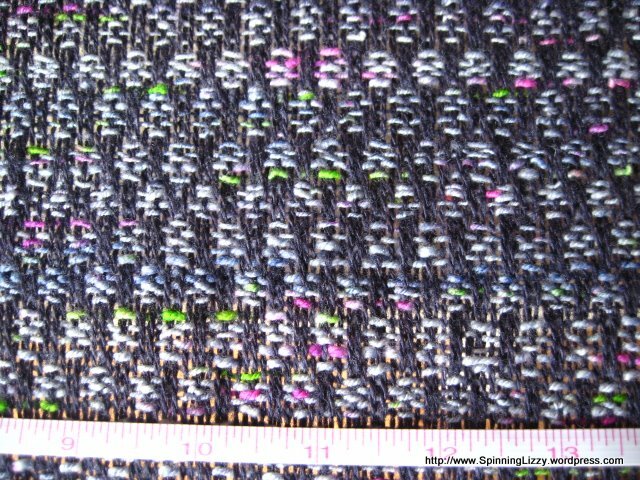 Alas, McKinney does not thread his heddles the same way Xenakis does, and so was no help to me on this current project. Xenakis threads his heddles so each heddle eye lifts either one or two “shaft” threads; whereas McKinney threads his heddles so the first heddle lifts “shaft 1” threads, the second heddle lifts “shaft 2” threads, and the last heddle lifts “shaft 3” threads. His threading is simple and intuitive, and makes weaving four-shaft textiles on a RH similar to weaving with a direct tie-up loom. However, because of the difference in threading, with my particular pattern, the Xenakis threading produces a sett of 16.7 epi, while the same pattern with the McKinney threading would be 12.5 epi. The setts would vary depending on the patterns chosen, but in general, the Xenakis threading allows for a tighter sett. 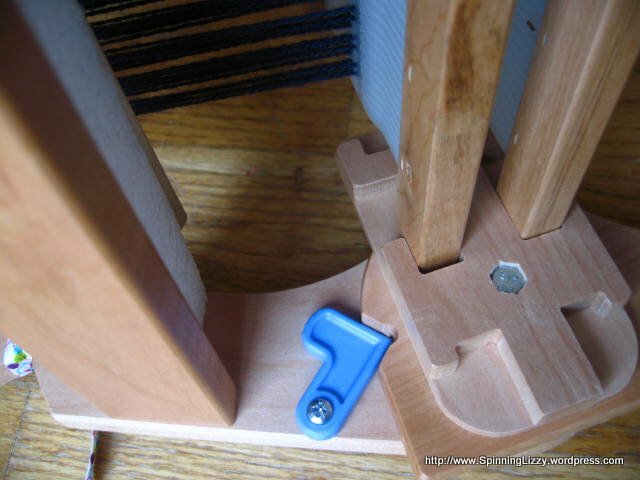 When I use three rigid heddles again, I would chose the method of threading based upon the lifts I need to use. Only a few of the Xenakis lifts are complex, but it just happened that my particular choice of patterns required two of them. I wouldn’t automatically rule out using the Xenakis technique again, especially if a closer sett were desirable, but I’d prefer to stay away from the complex lifts. There was nothing to do except to hunker down and take my medicine stoically. 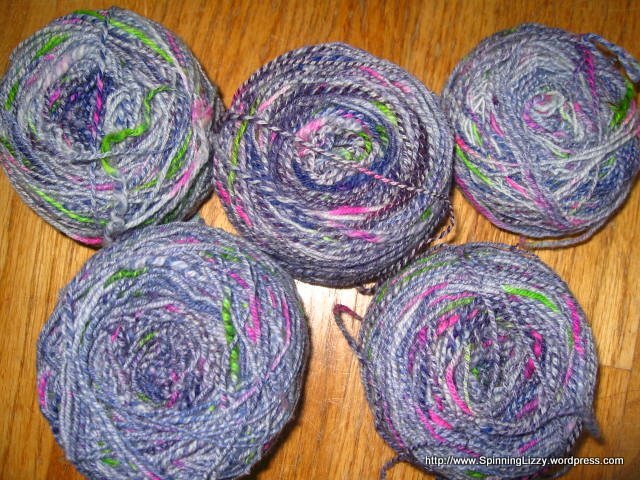 I decided to make things easier for myself by retrieving the doupe heddles I had taken off and use them in place of my two complicated lifts. 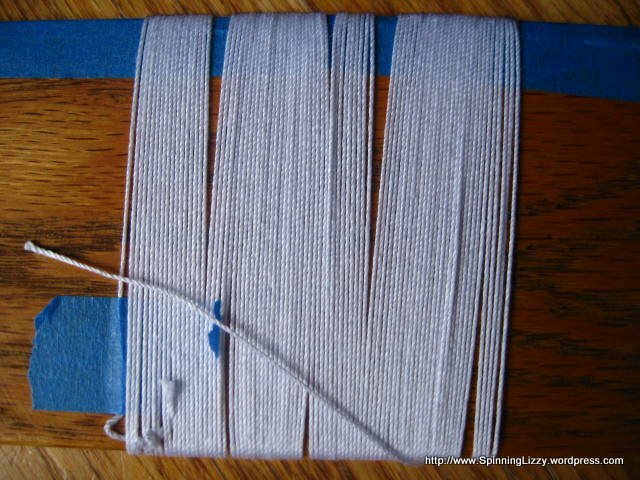 I threaded two doupe heddle sets and used two doupe sticks to make those two lifts easier. 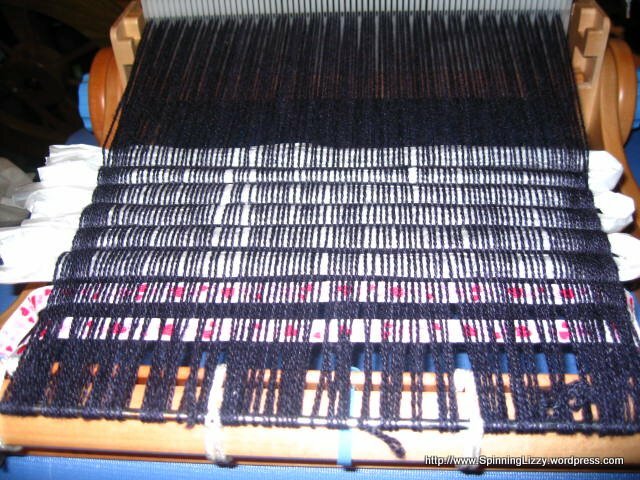 Now my weaving could pick up speed and I could enjoy it again. Perhaps the difference is very subtle, but it’s there, and that makes all the difference to me. 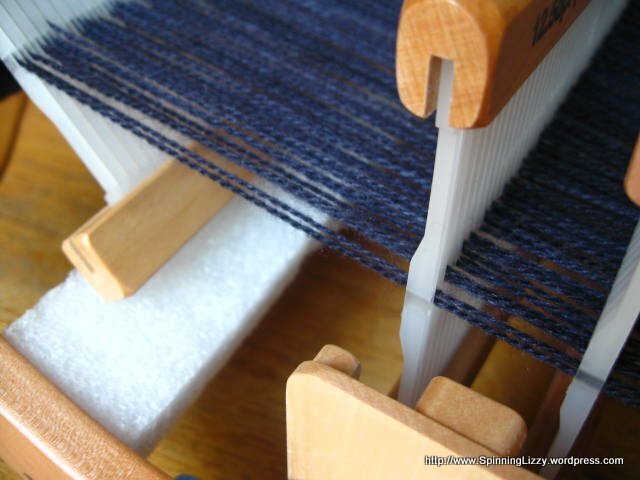 I’ve wanted to have a go at creating four-shaft textiles on a rigid-heddle loom ever since I brought home my Schacht rigid heddle more than a year ago. 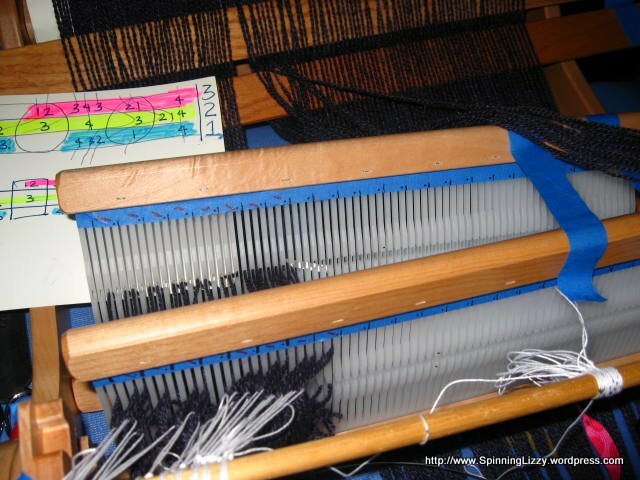 As my Schacht (not a Flip) only accepts one heddle reed, it wasn’t until I got my 12″ Ashford Knitters Loom (AKL) that I’ve had the capability. It took something like six readings of the first half of “The Xenakis Technique For The Construction Of Four Harness Textiles”, by Athanasios David Xenakis, before I felt like I knew how to begin. The first time I read through Xenakis’ book, I was completely befuddled and nearly abandoned the project. At the second reading, I wondered if I were mentally deficient. But, around the time of the fourth — or possibly fifith — reading, I began to understand the technique, which is actually very simple. A hint: if you are feeling confused by the reading, it’s perfectly OK to skip past some of that and go directly to the description of the threading, if that is all you want. The book is very comprehensive, and most questions I had were anticipated and answered. On the subject of number of identical heddle reeds, Xenakis recommends three, although he maintains one could get by with two and a rod with doupe heddles. But, beyond the assertion that doupe heddles would work, Xenakis does not give any details how to use them. Because my heddle blocks could only accept two reeds, I had my LWS (local weaving store) special-order me two, in the finest size available, 12.5-dents per inch. 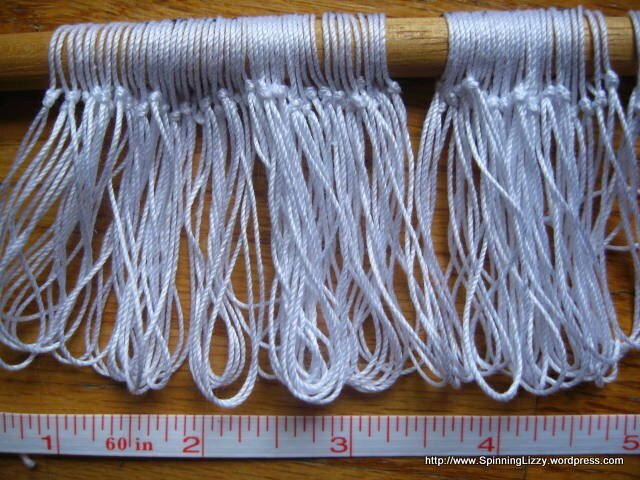 My reasoning was: three reeds may not fold compactly in the loom, I might have trouble with standing the third heddle up/down/at rest, and it would be easy enough to try with the doupe heddles first. 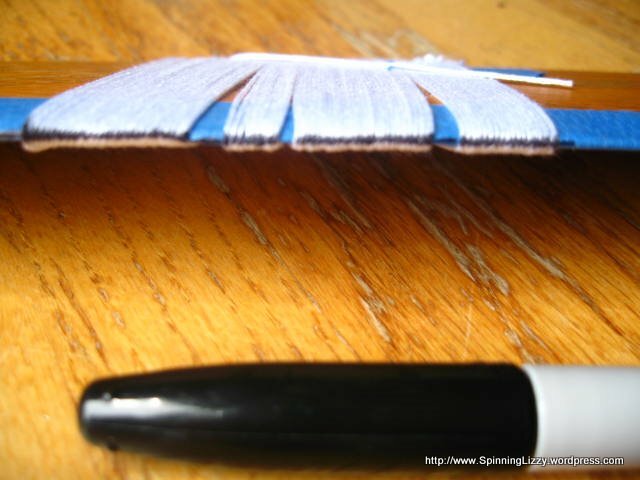 Fold the string at the marked points, and make a knot, leaving a loop large enough to fit over a heddle rod. Please refer to Xenakis’ book for how to thread the loom (the time it would take me to write it up is time away from weaving!). Ashford puts out a pdf file that details how to thread two heddles here, as does Schacht here. Again, the reason I’ve gone with the techniques in Xenakis’ book is because I wanted to be able to methodically translate, set up, and weave some of the many drafts found in books of four-shaft patterns. To make things easier on myself, I placed painter’s tape along the tops of the heddles, and marked off measurements; by ticking off the areas I had already threaded, it was easy to keep track of where I was, should be, or needed to go next. Colour-coding a threading sequence also helped me to keep my place. 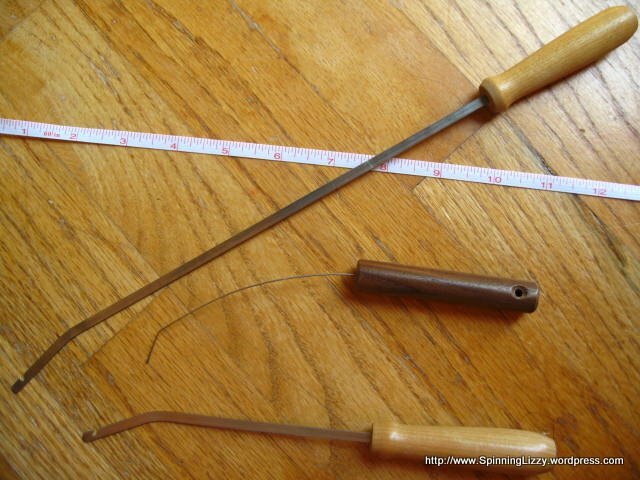 As to threading hooks, I used at various stages a regular hook, an ultra-fine spinning wheel orifice hook, and a long 11″ weaving hook. I chose “Rose Path Project No. 1”, threading #1, treadle sequence IX, by Bertha Frey in Marguerite Porter Davison’s “A Handweaver’s Pattern Book”. After all bouts were tied and adjusted, I wove a header, using compressed plastic bags for filler. Unfortunately, I could not manipulate the doupe stick with doupes very well; the resulting sheds were not separating cleanly. Then, I found that difficult as it was to create a shed by pulling up on the doupe stick, I had no easy way to create the reverse shed by pulling down on the doupe stick. 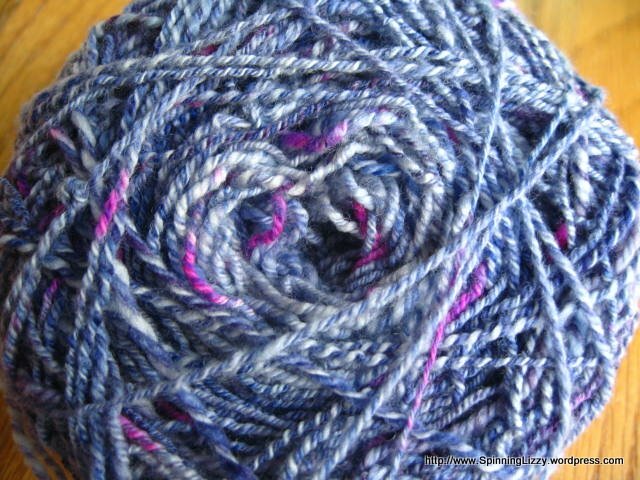 With the addition of two heddles in front to manipulate in tandem, it was too much for me to handle. Perhaps it would be easier on a different loom than the AKL; I’d love to hear from you if you’ve used the doupe heddles successfully. 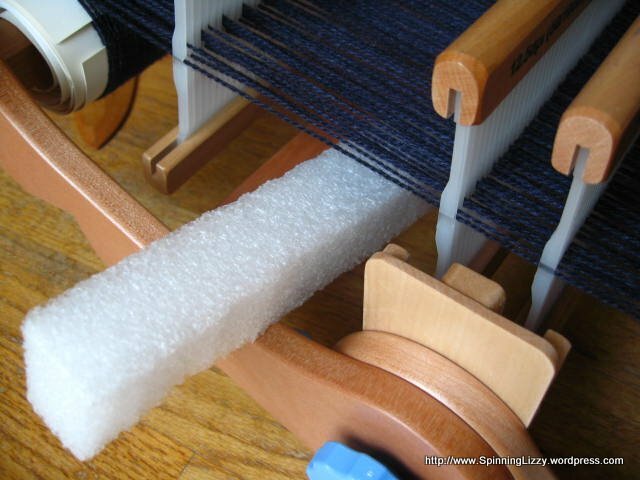 The third heddle is a huge improvement over the doupe stick and heddles! The difference in the cleanness of the shed, and ease of manipulation, is more than worth the price of the third heddle. Because the heddle block only accommodates two heddles, there is nowhere to rest the third heddle. Left to its own devices, it weighs down on the threads, creating an unwanted shed in “rest” position. 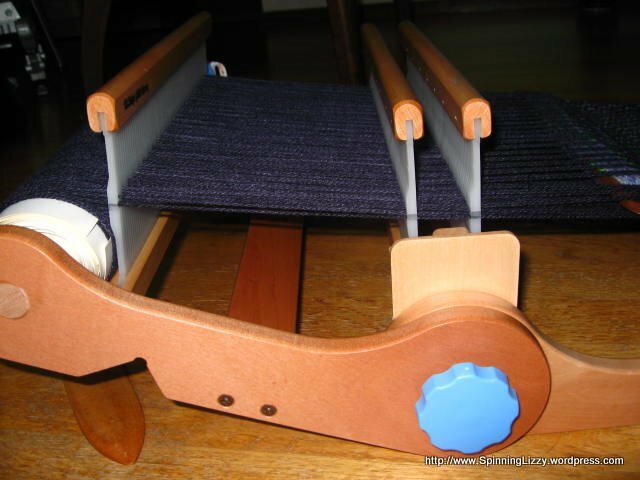 To remedy this, I propped up the third heddle with a foam bar inserted over the cross brace. It’s nothing fancy, really, just some old white foam computer packing, cut into a strip about an inch thick, and just long enough so it holds itself in place by friction. 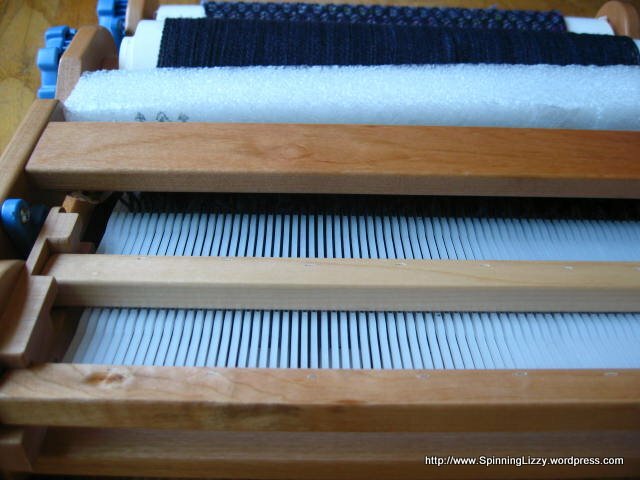 With the third heddle resting on it, the threads stay in neutral position. 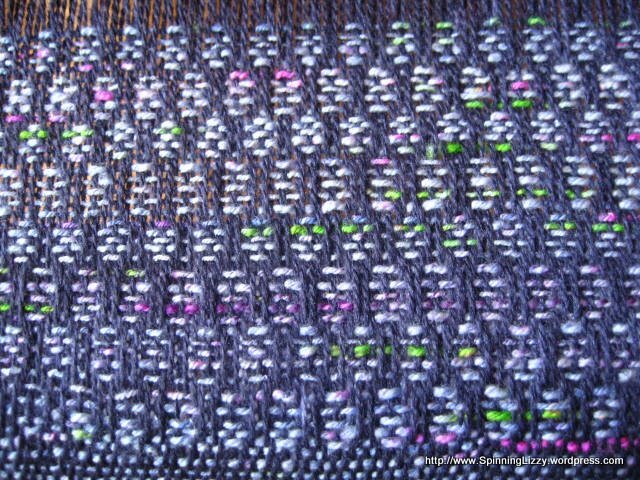 I had chosen some of my hand-spun wool for the weft, but when I took a last look before weaving, it needed some livening colour. 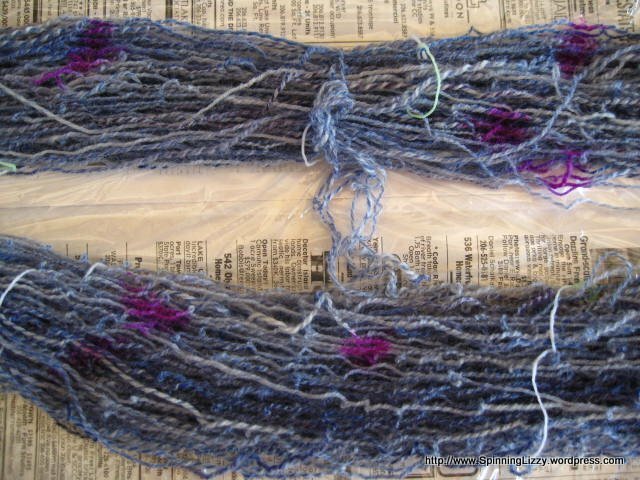 I pulled out my Mother MacKenzie Miracle (acid) dye kit, which was in liquid stock solution made before Thanksgiving 2008. In the future, I will likely continue to choose patterns with simple treadle sequences, but will also likely try more complicated threadings. 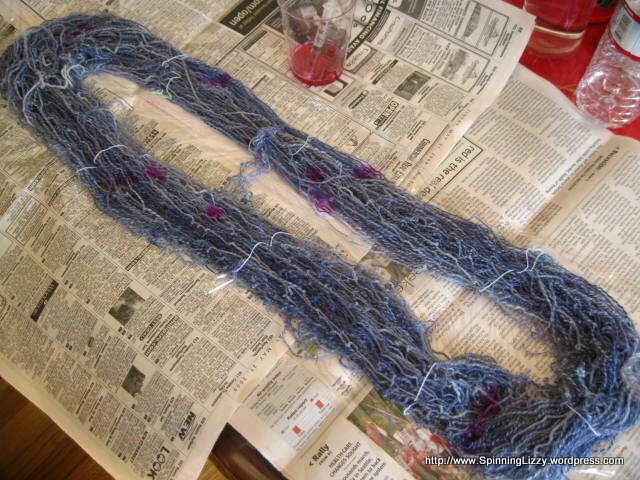 It’s so tempting to finish off this scarf quickly at home, but I’ve purposely held off from doing so; I want to keep the AKL for use on the go, for something fun to do while waiting to pick up my son. Now both of us are waiting for classes to start up again.